At Fairview, students learn music through many different ways. Music class is an active music-making environment where students sing, rhythmically speak, play instruments, read children's literature, improvise, create and arrange music, read musical notation, play games, and move. This website should familiarize you with all of the things that we do in music class at Fairview. Join us on a musical voyage as the 4th Grade, 5th Grade and Fairview Voices Show Choir present their concert "Voyage" on Thursday, April 25th at 7 PM at the Bellevue East High School Auditorium. The evening will feature songs and instrument pieces that showcase what the students have learned in music class. Click here for an online flyer to invite friends and family. Click here for an online flyer with concert specifics. Click here for a letter with concert specifics. Click here if you're interested in volunteering at the concert. Click here for a web version of the program. Fourth and Fifth Grade students will study the recorder this year during music class. If you're new to Fairview, please click here for a recorder form. We began playing recorders at the beginning of October. If you stop by Fairview Mondays after school in the spring, you'll hear fourth, fifth and sixth grade students singing and dancing. They are all part of our show choir at Fairview, the FAIRVIEW VOICES. Under the direction of Mr. Talarico, Mrs. Boyce, Mrs. Gibson, and Miss Jacobs FAIRVIEW VOICES performed our the "TV Time" during the Spring 2017 and "Ears to You...A Fairview Voices' Tribute to Disney" during Spring 2018. This year's show is "Don't Touch that Dial...A Fairview Voices Tribute to the Decades." Check out the FAIRVIEW VOICES page for more information. "I can hear the bells..." Swing in to Fairview Mondays after school during September through December and you, too, can hear the bells. Sixth grade students can elect to participate in a chime choir after school. We focus on learning music for holidays and then perform at our school concert, "Holiday Harmony" at Lauritzen Gardens, the Offutt Aif Force Base Tree Lightig and in the community on a tour during the school day. ​Click here for more information on Chimes. The Fairview Chime Choir is done performing for this year. We'll be back in the fall of 2019. ​We are extremely grateful to Wal-Mart Neighborhood Market on Capehart, Shopko in Bellevue, the Bellevue Public Schools Foundation, and Great Southern Bank for supporting the Fairview Chime Choir. With their support we have been able to purchase sets of chimes, tables and pads for the Chime Choir! 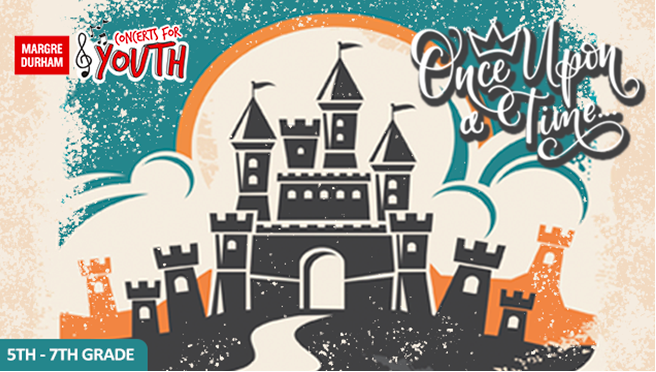 Through a generous grant form the Nebraska Arts Council, the fifth grade students will attend the Omaha Symphony's Marge Durham Concert for youth, "Once Upon a Time" on Friday, February 1, 2019 at the Holland Center for Performing Arts. The concert will explore elements of literature and discover how music can depict a story. ​Through generous support from the Omaha Performing Arts Society, Fairview Elementary is participating in Musical Explorers this year. Developed by the Carnegie Institute in New York, Musical Explorers, is a program where students learn music from three different genres or styles. This spring the students will learn West African music with Charles Ahovissi and the African Culture Connection, Mexican music with Marcos Mora, and Folk music with the Wildwoods Band. 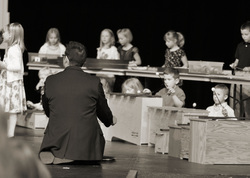 The Kindergarten, first and second grades will attend the culminating concert on Tuesday, April 23, 2019 at the Holland Performing Arts Center. The auditorium at Bellevue West High School was filled with the sound of the singing on Saturday, September 29 as BPS Saturday Chorus presented their concluding concert for 2018. Fairview was excited to be represented by three outstanding singers. Plans are already underway for next year's choir, so be sure to check back for more information. Click here for the Saturday Chorus website. Bellevue Public Schools is committed to providing each student with an opportunity to learn in a variety of different ways and in many different subject areas. Bellevue Public Schools' music curriculum was implemented in 2011. Our new curriculum ensures that all students in our schools here in Bellevue will learn the same concepts. Of course, every teacher is different and we may get to those learning targets in different ways! EO 1 - Students will sing. EO 2 - Students will play instruments. EO 3 - Students will read musical notation (grades 1-6). Students will describe music (kindergarten). Since the essential objectives look the same at each grade level, here’s the skills we’ll be learning. 1st Grade: Steady Beat, rhythms: quarter notes, quarter rests, eighth notes, pitches: so, mi, la. Click here for more detailed information on the summative assessments in our music curriculum. Private Lessons - If you or your child are interested in learning piano, guitar, or another instrument, you may CLICK HERE for a list of organizations that offer private music instruction. The private lesson letter has questions you may want to ask, as well as websites and phone numbers to get you started. As a faculty member of the Bellevue Public Schools, we cannot recommend any one particular teacher. Click here to visit the Fairview Elementary website. Contact Fairview Elementary to speak with our band teacher, Mr. Killham. Click here to visit the BPS Saturday Music website.